This is simple yet it’s also been the most difficult thing to ask for from the Mets. Now I never blame injuries on the player, besides Noah’s decision to not get an MRI & then being pulled in the middle of a game from an apparent lat injury. 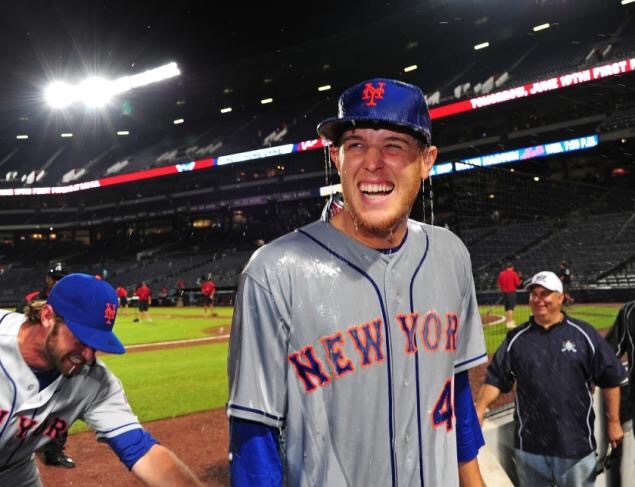 But the biggest thing for Zack Wheeler on his road to success is staying healthy. We all know he’s already had TJS & medical experts usually give a pitcher about 5 years till the probability of the elbow requiring Tommy John again. Wheeler needs to keep his pitch count down. A lot of us cringe when pitch counts are brought because we hear it so often with pitchers throughout the league. However, Wheeler needs to keep his average at 15 pitches per inning, at the most. In the past, Wheeler would be in the middle of the 5th inning with a pitch count in the 90’s when it should be in the 70’s. When Wheeler is working with a higher pitch count, he tends to be more erratic as well as more hittable. Wheeler & the Mets need to win the games against the teams they’re supposed to beat as well as games versus the Nationals. If the Mets continue to lose against teams below .500 & teams they have more talent than, then it’s not far fetched to believe that the Mets would have problems against the more elite teams in the league, especially the Nationals. The advantage the Mets have would allow them to make up games in the division & Wheeler can be a key component to each of those series. On Monday, Wheeler pitched in hitter friendly Chase Field in Arizona & Wheeler was able to hold the Diamondbacks to just one run over 6 innings & striking out six. Unfortunately, Robles would come on in the 7th & let the D-Backs blow the game wide open by allowing five runs & giving Arizona the come from behind win. Nonetheless, Wheeler has been showing signs of being a better pitcher than he ever was before. He seems to be learning the craft of pitching to batters as opposed to just hurling them in as hard as possible. Earlier in the year, I suggested that the Mets should turn Wheeler into their own version of Wade Davis or Andrew Miller but he is determined to save that role as a last resort.